London, 28 Sept 2016 ‑‑ The global transportation & logistics (T&L) industry is facing dramatic realignment in an era of unprecedented change as new digital technologies, changing customer expectation and collaborative operating models reshape the marketplace. That’s according to a new PwC report, Shifting Patterns – the future of the logistics industry, which says that the prize for modernising even segments of the industry can be huge. The report points to digital, data analytics and platform technology as facilitating new entrants, new business models and new ‘sharing’ opportunities. PwC research suggests that, while 90% of T&L companies see data and analytics as the key drivers in redefining the sector over the next five years, 50% acknowledge that the absence of a digital culture in their own organisation is the single biggest challenges they face. “The global logistics sector is something of an enigma. Technology is changing every aspect of how T&L companies operate and digital fitness will be a prerequisite for success. “The winners in this race for transformation will be those who best understand and exploit a range of new technologies from data analytics to automation and platform solutions – those who don’t will be the losers and risk obsolescence. PwC has identified four logistics scenarios exploring possible futures of the industry. In each, technology plays a pivotal role but affects the market differently. In two scenarios, new entrants are the primary driver, while in the remaining two, the incumbents remain dominant. Incumbents increase efficiency through collaboration and new business models like sharing networks. Research and collaboration around the Physical Internet (PI) delivers shared standards for shipment sizes and greater modal and IT connectivity across the incumbents. New entrants capture market share from incumbents by utilising new business models based on disruptive technologies like blockchain and data analytics, with only one or two replicating the technology that has created B2C giants like Amazon. Last-mile deliveries become fragmented, with incumbents collaborating with new entrants and crowd-delivery solutions. The big retailers become new entrants, expanding existing logistics offering beyond their own needs - moving from customers to competitors –acquiring small logistic operators to utilise deep B2C knowledge, previous technology suppliers and customer-centricity, to optimise supply chains. Incumbents streamline operations, utilising new technologies and financing technology disrupters with Venture Capital partners and technology - rather than logistics - talent. Major players complete synergistic mergers to enhance geographies and cross-modal coverage. PwC’s Shifting Patterns report suggests that, while technology will be a key driver of change in the sector, changing management attitudes, culture and thinking will be just as important. Pointing to what they describe as the ‘five key acts of unconventional leadership’ the authors say that, whatever industry segment a T&L company operates in, it will be crucial to commit to an identity and focus only on markets where they believe they have a ‘right to win’. While digital fitness’ is a vital component of success, the report points to the need for a continued focus on cost efficiency, asset productivity, and innovation. But scaling these across the enterprise, will be key for companies to translate the strategic into the everyday. Creating a culture of innovation, flexibility and relentless challenge can only become enterprise-wide where there is a tone from the top, so putting the culture to work in every aspect of the business is essential. To gain the magnitude of return, T&L companies need to prune what doesn’t matter, use savings to support investment and value propositions and be constantly cutting costs to grow stronger. Finally, with more disruption ahead, companies need to anticipate how their capabilities need to evolve, with winners developing services and solutions that will constantly stimulate demand. To do this, T&L companies must establish strong relationships with key customers, listen to and anticipate the markets and actively shape the future. Andrew Tipping is available for interview. Please contact Rowena Mearley from US Global Communications: Email: rowena.j.mearley@us.pwc.com​​ or on+1 (646) 313 - 0937 / + 1 347 501 0931. The full report, Shifting Patterns – the future of the logistics industry, can be downloaded from http://www.pwc.com/gx/en/industries/transportation-logistics/publications/the-future-of-the-logistics-industry.html on Wednesday, 28 September 2016. The global transportation and logistics (T&L)market includes the freight and cargo related transportation sectors, including shipping, courier and express (parcels), contract logistics, bulk transport, warehousing, road haulage, rail freight and air cargo. It also encompasses a range of ancillary services including a number of supply chain activities. The T&L market is valued at $4.6 billion at 2015 values (https://www.plunkettresearch.com/industries/transportation-supply-chain-logistics-industry-market-research/). Strategy& is a global team of practical strategists committed to helping you seize essential advantage. We do that by working alongside you to solve your toughest problems and helping you capture your greatest opportunities. We bring 100 years of strategy consulting experience and the unrivaled industry and functional capabilities of the PwC network to the task. 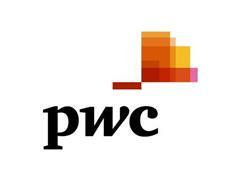 We are part of the PwC network of firms in 157 countries with more than 208,000 people committed to delivering quality in assurance, tax, and advisory services.